Tips for How to Avoid Getting in a Bidding War? Home » Tips for How to Avoid Getting in a Bidding War? Step number one when buying a home is getting pre-approved for a loan, if the house you are interested in buying has multiple offers, the seller or seller agent is going to analyze which offer has the highest possibility of closing, based on my persona experience, is not always the heights offer. You may be able to out bid the other offers if you offer contains a pre-approval letter from a large bank or reputable Loan Officer, also, in your offer, don’t be afraid to put a 3 to 5% earnest money check, this will provide some credibility to the seller that you are serious about buying this home. In a buyer frenzy, there is no question that been the first to make an offer gives you and edge over the other possible buyers. To be the first to make an offer, you really have to pay close attention to the current list of homes for sale in your local M LS. One easy way to stay on top of new listings is by registering on a local real estate website such as kstrealty.com, by doing so, you will be notified every time a new listing hits the market, this website updates their listings every hour. Another way is, having your real estate agent register you in the local MLS and ask your agent to send you an email every time a new listing meeting your requirements is put into the system. If you are in the Atlanta area you need to ask your agent to register as a prospect on the First Multiple Listing Service (FMLS) or the Metro Listing Service (MLS), both of these systems will email you notification as soon as a house is listed. There is no cost to hiring a real estate agent to represent you. Real Estate Agents have access to the Multiple Listing Service, therefore have access to current real estate data, they also know of homes that are not listed yet but are potential listings. Most experience agents will ask you to sign a Buyer Brokerage Agreement, it is important for you to sign this agreement, not only is the law in Georgia if a buyer wants to be represented by an agent you have to have the Buyer Brokerage agreement signed, but agents that have signed agreement with clients have the fiduciary duty to represent you and provide you any and all information about the property your are interested in buying. You might be tempted to call many agents or different agents for different homes, if you are one of those buyers, this is what you are missing: No single agent will give you the time that you really need to purchase a home, they will provide you the basic a minimal information, they will not return your phone calls or emails because they are busy helping their clients, if you have not signed their agreement your are not their client and as such they will not give you any time. In a sellers market, it is imperative you hire a professional real estate agent or else you will always be out bid by others. Telmo Bermeo is an Associate Broker with America’s Network Realty Group, Inc. located in Dunwoody GA, we represent Buyers and Sellers in the Atlanta Metro Area. If you are planning to buy or sell a home and want professional representation, give us a call today at 770-309-6417 and one of our agents will be in touch with you. Data last updated: 4/23/19 5:45 PM PDT. Receive a complementary Market Analysis from America’s Network Realty Group, Inc. At no cost or obligation, one of our Real Estate Agents will come to your house and present you the current value of your home in the Atlanta Metro Area. Please fill in the form below and we will analyze the current value of your home. One of the first steps in selling your home is to find out what you can reasonably expect to list it for. The best way to find out the current value of your property is from a Real Estate Professional. Fill out the form below one of our professionals will contact you to provide you the current price of your home. 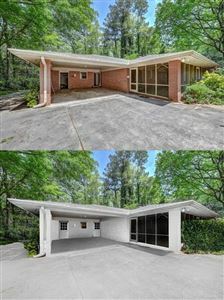 KST Realty is the ultimate source for real estate listings in Atlanta. With a few clicks you can find the best homes in Atlanta, and experienced realtors to help you understand the market. As the best Atlanta real estate agents we also help you find a home that’s right for your budget and preferences.